One of the core principles that we focus on at our kids gym in Vernon Hills is leadership. Our Junior Boots™ program at Hot Ground Gym® focuses on the Five Pillars of Confidence. These pillars include obstacle course fitness, teamwork, problem solving, discipline, and leadership. In today’s blog, we’ll be covering what exactly leadership means and what characteristics makes a great leader. While your child learns leadership skills from our kids gym, he or she also looks to influential figures around them for guidance. For example, your child probably looks to you as a leader, his or her teacher, a relative, or even an older sibling. By learning what being a leader means early on, your child will be able to take that knowledge into many aspects of his or her life. Perhaps your child wants to be a doctor, a lawyer, or a teacher when he or she grows up. Learning to be a leader now will help them grow and develop into an influential figure later on. If you’d like to send your child to Hot Ground Gym® In Vernon Hills to learn more about leadership as well as fitness, then contact us today and we’ll provide you with more information. This question is such a great one because being a leader may mean something to different people. Being a great leader, according to Jack Welch, the 20-year standing CEO of General Electric from the early 1980s to the 2000s, is, “Before you are a leader, success is all about growing yourself. When you become a leader, success is all about growing others.” Leadership is something that comes in many forms, but the one thing that can be agreed upon is that leaders tend to hold a few great characteristics that helps them to be innovative in their field, protect others, and create an environment that others want to spend time in. While you may ask this question to different people, the characteristics remain the same. Being a leader takes courage and a passion for a specific mission or a project. A principal can lead teachers at a school to be the best educators they can be while an instructor at a kids gym can lead children to feeling great about themselves. Essentially, each leader is influencing others, but they don’t have the same job. Leaders come in all shapes, sizes, ages, and jobs, however, they all harbor similar great qualities that will create loyalty and dedication in others who may believe in the cause, mission, project, or the job. Great Communication: All great leaders can communicate effectively and efficiently. They know how to get their message across without compromising their values. Great communication isn’t just giving long speeches either or getting a group of people jazzed for an upcoming event. It’s writing emails, basic conversation, and even non-verbal communication that really sets them apart from those who are not always seen as leaders. Problem Solving Skills: Solving problems are just what leaders do; however, it’s down to the leader to make sure that it’s an effective solution. Leaders will need to know how to solve simple to overly complicated issues. They need to be able to look at the opportunities, resources, variables, and the information to make an executive decision and to solve the problem as carefully, analytically, and efficiently as possible. Influence: Without an influential presence, it can be hard to get people on your side and believe in your mission or cause. Having an influential presence will help people listen, show your passion for what you believe in, and inspire others to create a vision for the future. Relationship-Building: Without being able to build relationships with other communities or people, it can be difficult to reach individuals who may believe in your cause. Influence and relationship-building go hand-in-hand. Similarly to a leader being a part of a team as well as being able to work well alone. Developing solid and trusting relationships with people will help to create successful partnerships for the future. Self-Awareness: Lastly, self-awareness is so vital because your child will understand the context of the situation and be able to react in an appropriate manner. Self-awareness means understanding that you’re human and taking in constructive feedback in an appropriate manner. Without self-awareness, a leader can’t empathize with others or understanding their needs, which doesn’t make him or her very effective. 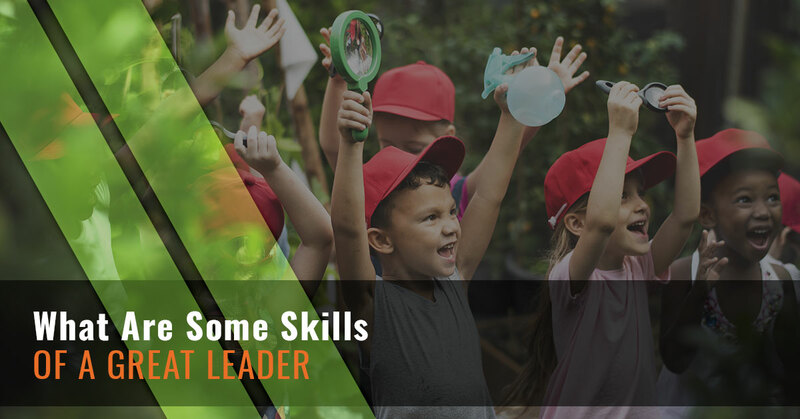 Every parent wants their child to be a leader at whatever they do, which is why we wanted to dive into the characteristics that will help your child excel even more than he or she may already do. For more information about leadership and our kids gym in Vernon Hills, reach out today and we’ll help your child excel and build upon their skills as well as get fit.